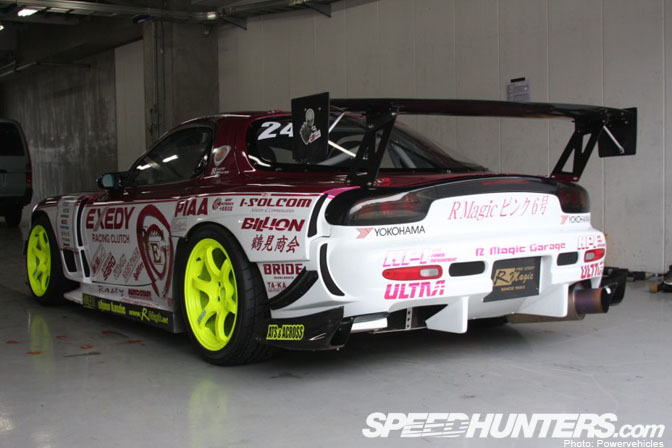 I'm not sure how you guys think about huge wings in the states, but I feel they are an important part of the car, in the D1GP or any other race. 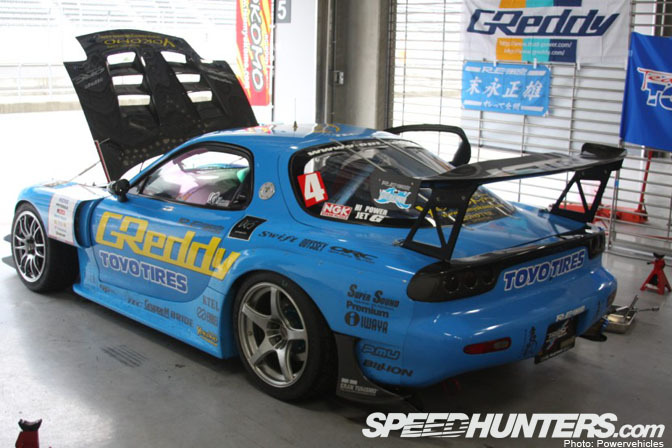 I have collected some of the biggest wings that are currently fitted to cars in the D1GP. What do you think of these huge spoilers? Overkill or is it something the cars can't do without? Thanks to Paul Castillo and Powervehicles for these great shots at round 2 of the D1GP. You don't need 600lbs of downforce on your rear tires... to... um... DRIFT. On a any car where it has a fucntion, yes... definitely. On any other car, nope. Not in a million years. Form must follow fucntion. 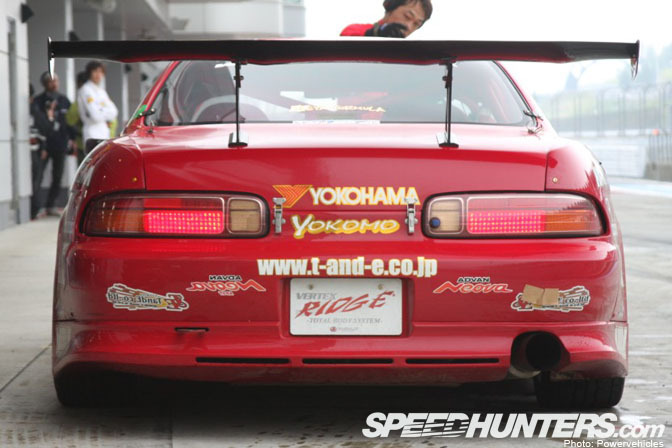 The only wings i say that are over kill are the toyo tire car and tanguchi's car...........but hey there doing R&D. Just trying to find something that can help the driver out. Drift Samurai's Garage BB 1755mm GT Wing. Function over form = the win. Amazingly enough, these D1 cars have to be set up with alot of grip in mind, in order to hold the track properly at over 100mph. It's not like they're doing the parking lot drifting that you or I do. On the majority of the tracks they are visiting, I'd say that the downforce in critical in order to keep the car from oversteering TOO much and keep the rear planted. 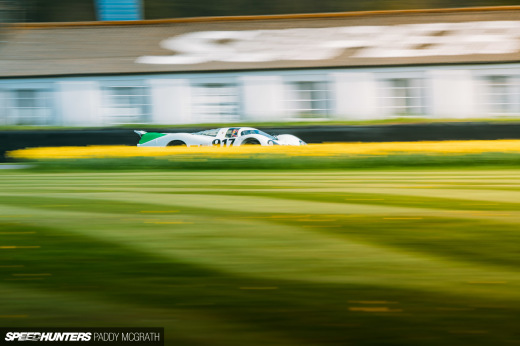 Essentially these D1 machines are race cars, not in the traditional sense, but competition cars nonetheless. 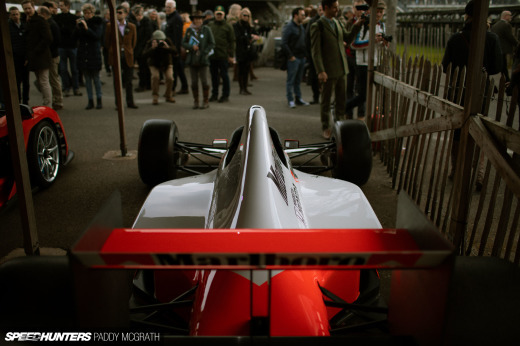 If the rear wings, front canards and valences weren't important, I doubt that many of the teams would focus on attaching them. The wing sure does improve the efforts of a drift. Remember Rhys's GTO and his controversial wing? Huge GT wings look cool, so they belong on everything. I love the GT wings. Gotta be something official tho, I dont like the APR wings. They look kinda awkward to me. Give me the Cusco, SARD, VOLTEX, C-West GTWING anyway and I'll rock it. Its funny how people always associate GT-wings with only imports. Then they get all techincal on you. "it doesnt give real down force! its stupid!" i say STFU to those people. I think GT wings are part of car style as well. Doesnt always have to be super functional but it looks hella cool. Look at all the people that rock a full ENDLESS brake set up just to win a damn $5.00 "Best JDM" trophy at HIN. Now thats damn stupid. seriously, wings with function are awesome. 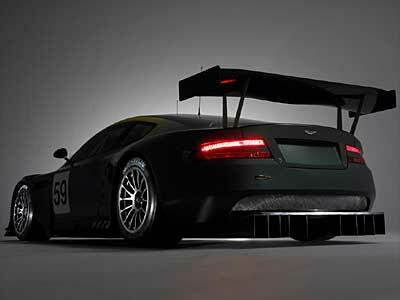 GT wings are a necessary component on D1 cars for the reason alone of traction. As (sort of) said, they want to push through the corner with speed, not just slide in and out without any carrying momentum. they wouldn't be used unless they were effective. HKS has the right idea, bolstering the wing to the floor of the car, safe, secure, effective. Inertiaticism has got the idea. 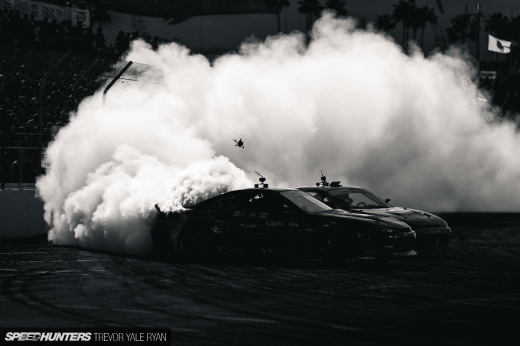 Though, I think we ought' to specify; D1GP is a rolling car show. I'm not trying to belittle the sport in any way. I'm a huge fan in fact. I'm just saying that the way those cars look, and they way drivers/promoters/umbrella girls/staff/crews act and look are a large part of what gets people excited about this series.